1. Hands free sit on stands. 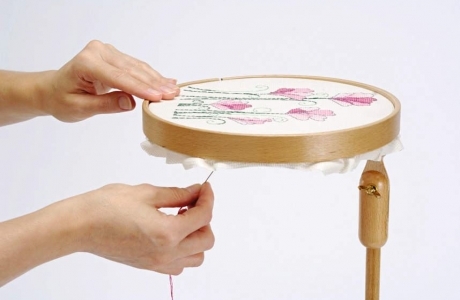 This beautiful embroidery hoop has a stand that you sit on, leaving hands free to work on your embroidery. They are sometimes known as “fanny frames”. 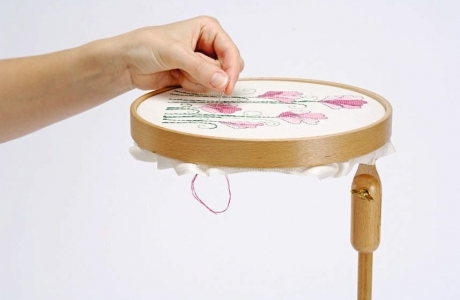 The hoop can be turned, or flipped up to access the back of the work, and the height can be adjusted. 2. Floor stands. 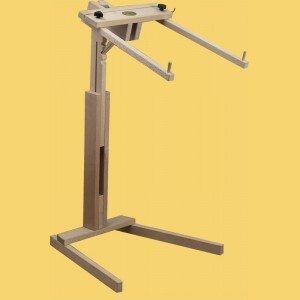 The fabulous, unique Floor Stand allows you to simply rest your frame on the adjustable arms. 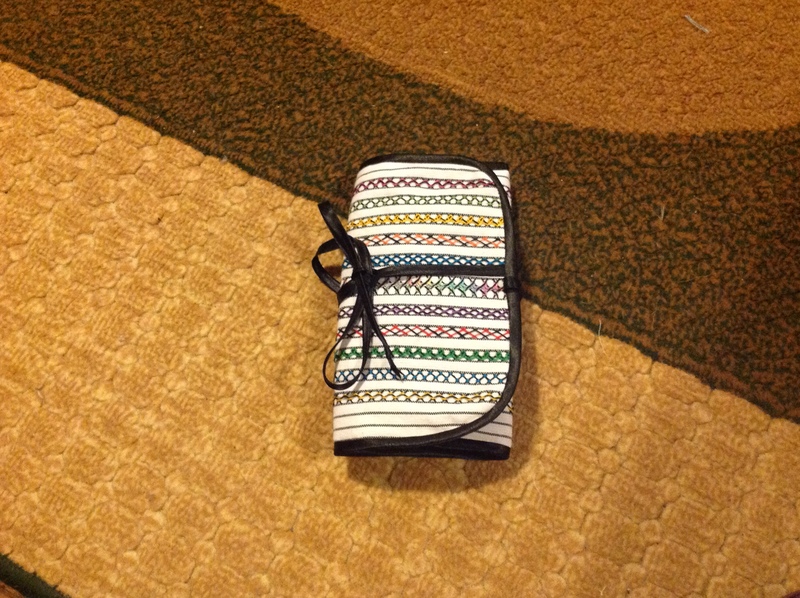 It is beautifully balanced and will not tip over! The extended arms and narrow legs enable the work to be positioned very close to you in any sitting position, thus reliving the strain on your back, neck and shoulders. 3. Two hoop combo lap stand. These are extra hand because they are actually made from two hoops, often in different sizes (one larger than the other) held together with removable legs. 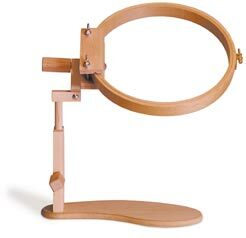 The tool is held in the lap and is used in the same manner as a Lap Stand. 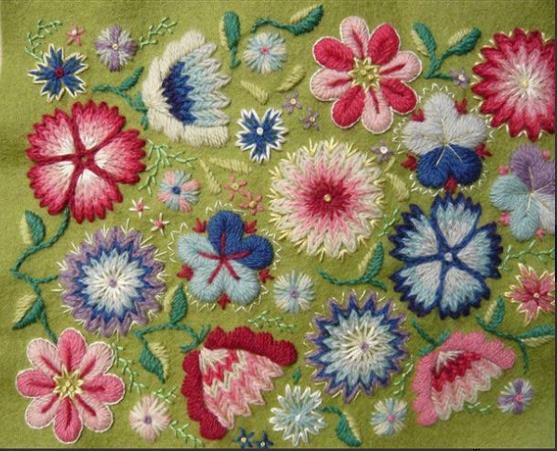 Judy Adams forwarded us this link to the Trish Burr’s lovely article on colour schemes suggestions for the embroidery projects. Trish Burr as we all know is the master embroiderer famous for her lovely, life-like botanicals and birds and the author of book named Colour Confidence in Embroidery. In this article she is suggesting a colour scheme based on an inspiration from either a painting, photo, textile, artwork or similar and will be given the colours with shades of each, numbered using DMC stranded cotton. 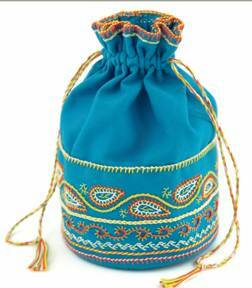 She has decided on DMC cotton as this seems to be the most readily available but have given you a website where you can accurately substitute DMC with Anchor. 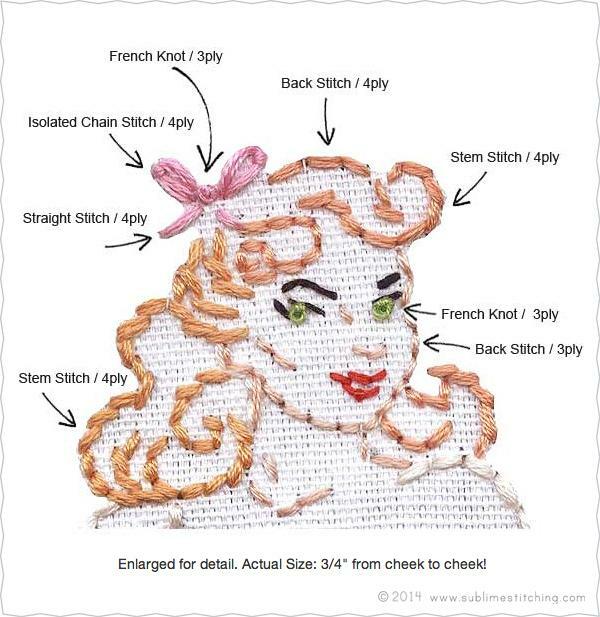 ASSIS embroidery is the perfect technique if you are looking for something a little bit different. 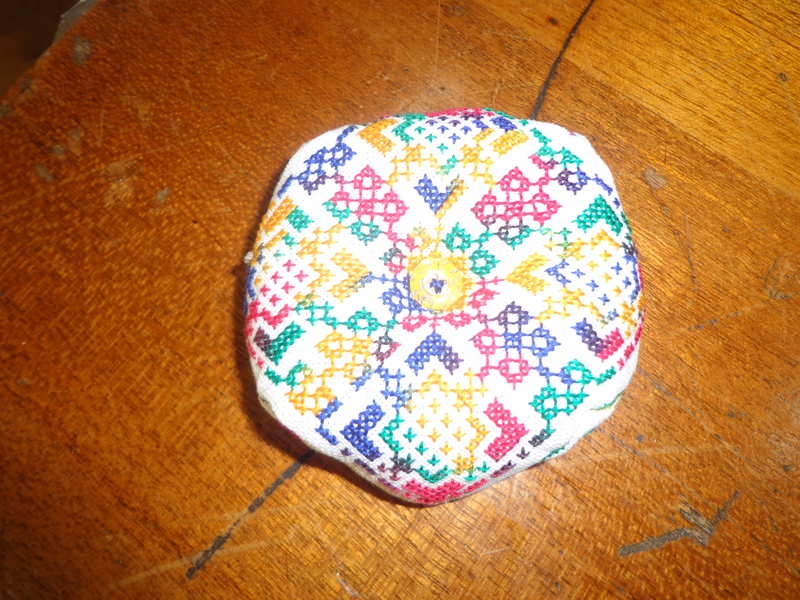 Recently at Kenya embroiderer’s guild we had a workshop on Assis embroidery. Assisi is a simple technique which can produce some stunning results. 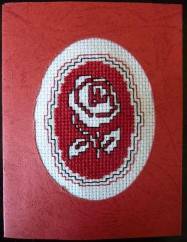 Assisi embroidery is done by cross stitching the background and leaving the design empty, or voided (unstitched). 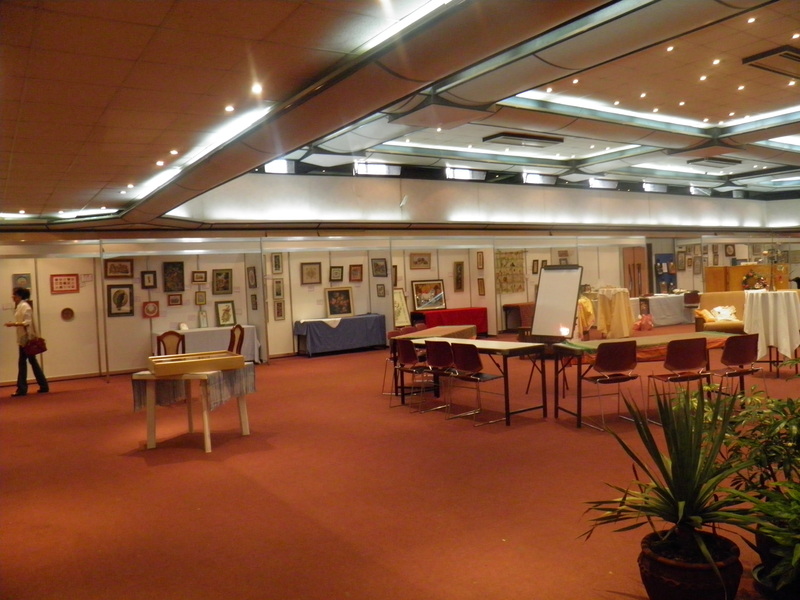 This craft was originated in the Italian town of Assisi in the 13th century. 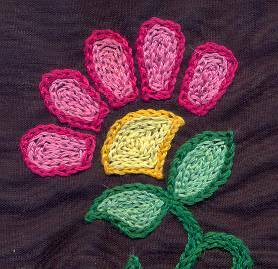 The colours of thread used were the traditional ones of red, blue, green or gold for the background, and black or brown for the outlines. Traditional motifs were largely heraldic, especially heraldic beasts, and typically featured symmetrically arranged pairs of animals and birds surrounded by ornate filigree borders. There are plenty of opportunities for adding a personal touch too. 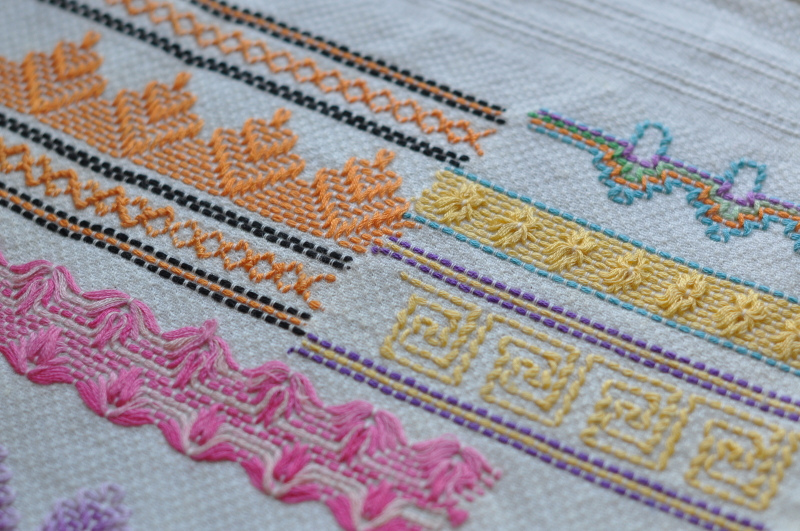 Choosing a coloured fabric or your favourite thread shades can result in great combinations. 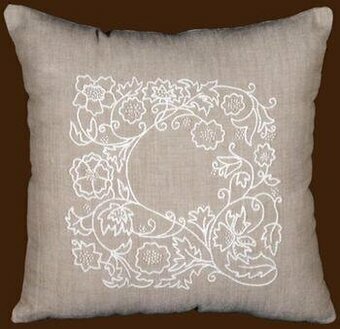 Also a bit of sparkle with metallic thread can add a special touch. A striped or checked background can also make the design stand out. 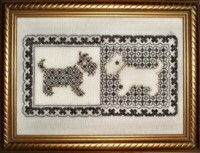 Browsing through the net came across this Assisi embroidery designs in which instead of surrounding an empty area with long armed cross stitch as in traditional assisi work, in this blackwork fill patterns are used. So get creative and the choices are endless! 1. 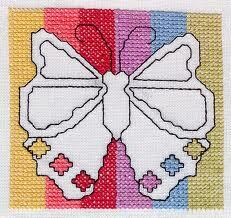 Assisi should be worked onto cross stitch fabrics such as aida and linen. For the best results opt for evenweave – the smooth, closely-woven material contrasts well with the heavily-stitched background. 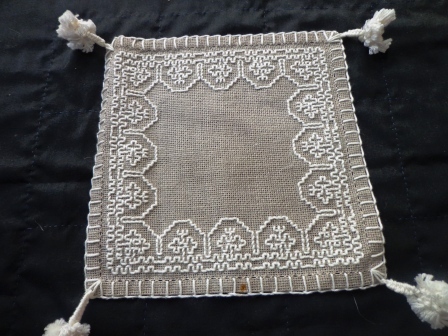 We’ve chosen a white 28 HPI evenweave here, but a linen fabric would create a desirable rustic finish look too. 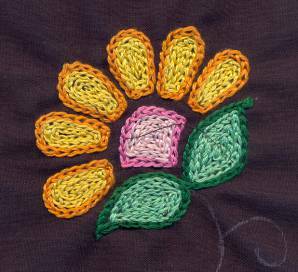 2.Work the background in a solid color, using two strands of embroidery thread. 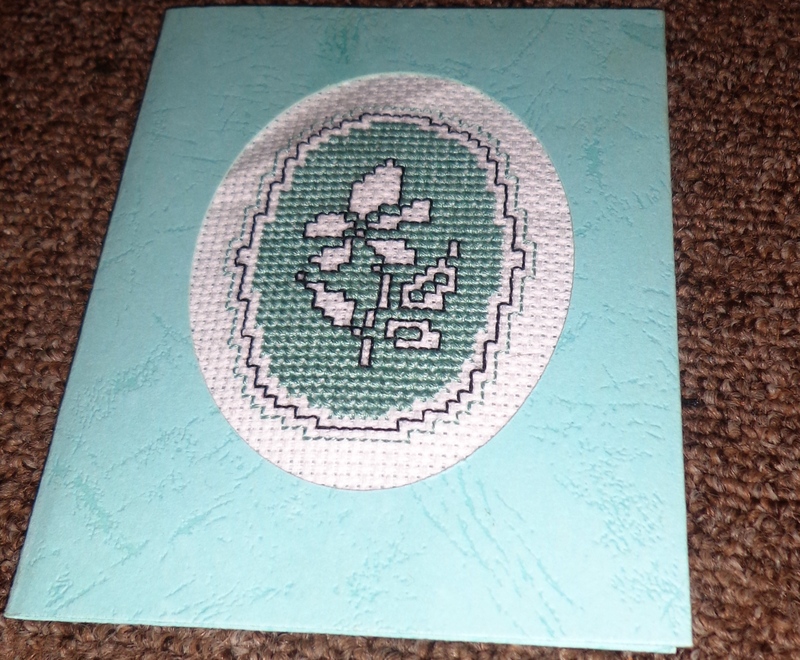 Work in counted cross stitch, stitching from right to left with a half cross, and then from left to right to complete the crosses all going the same way. 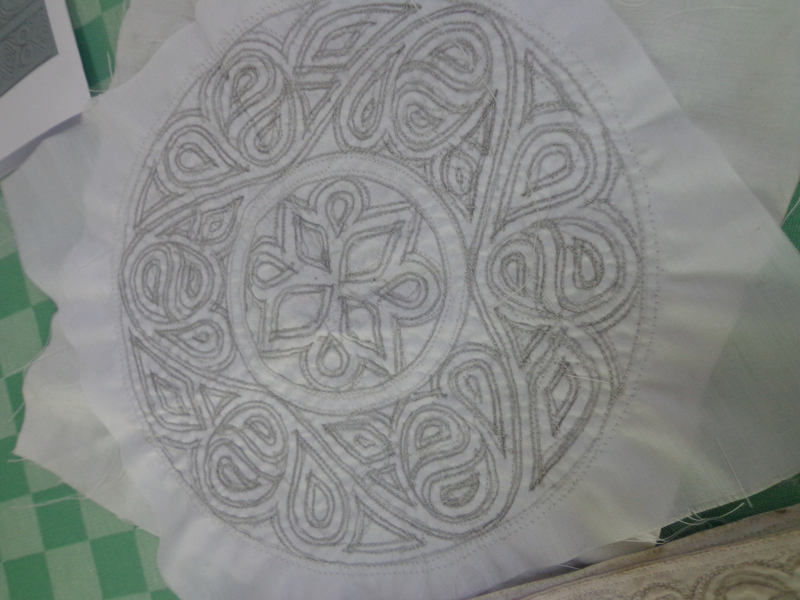 Once the background is completed, the Assisi embroidery or design will show. 3. 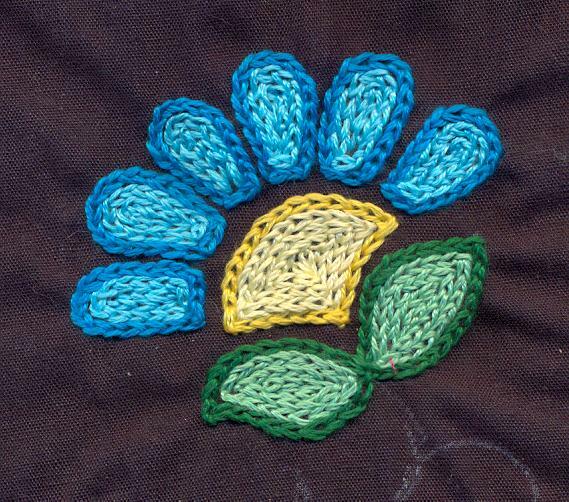 Avoid trailing threads across the back of your stitching, especially in areas that are left unstitched. Start and finish your thread with a waste knot or work a couple of secure holding stitches in an area that will be hidden.